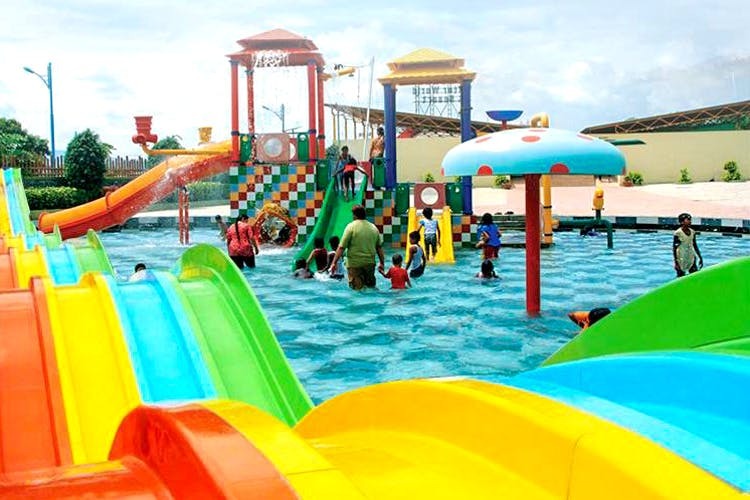 Heading to Krushnai Water Park for a fun time with the little siblings and the cousins? Check these five rides that are guaranteed to give you an adrenaline rush, starting at INR 500! Magic Sway is like the love child of a swing and slide. You go back and forth crazily like a swing, except that you slide across. As many times as you’d like. Pitch black, and never-ending, Black Hole is one ride that gives you a thrill like no other. Slide down at breakneck speed, engulfed in darkness, listening to your screams as well as those of the ones before you. Slightly toned down for the kids, Lil Champs is a crazy mix of swimming pool meets jungle gym meets waterfall-something kids will never want to leave. Kids love the rain, but unfortunately, the seasons aren’t always very accommodating. Mushroom lets them play under flowing water for as long as they want, weather notwithstanding.